Here is proof that I can't draw! 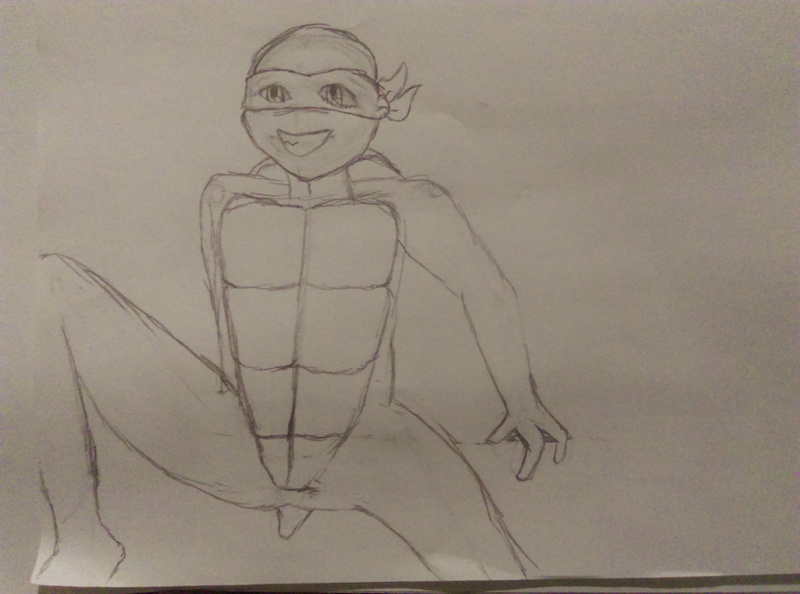 Anyway, here is my first hand drawn picture of Mikey. I will have a better picture at a later date, when I have access to a scanner. I may even attempt to color this!